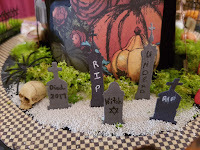 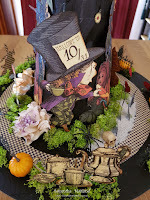 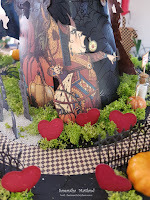 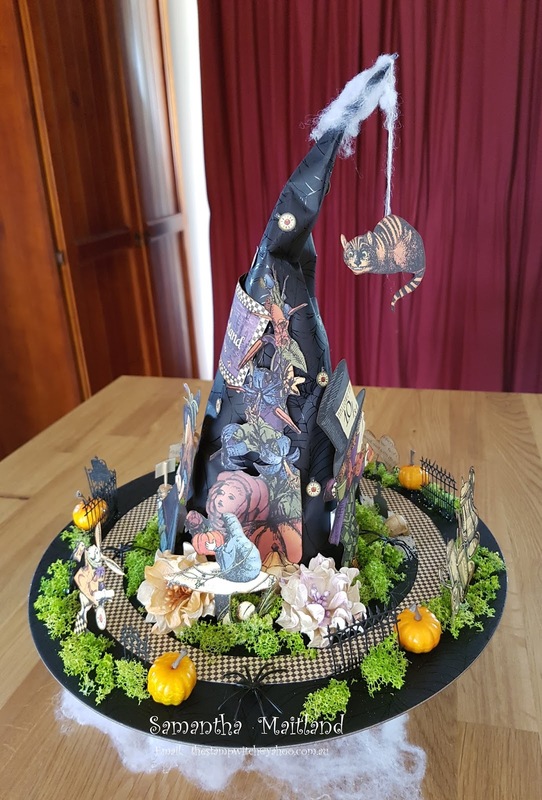 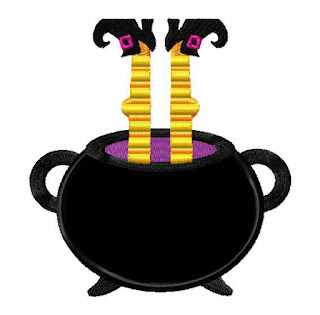 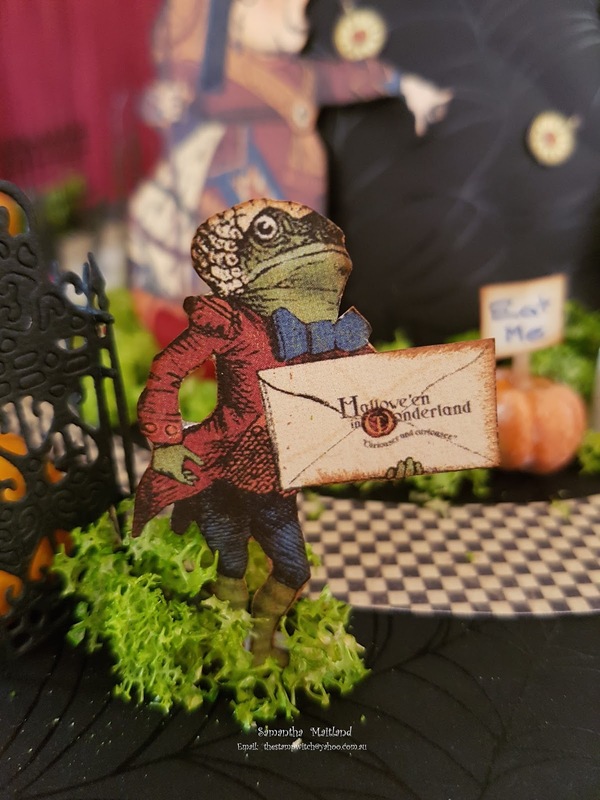 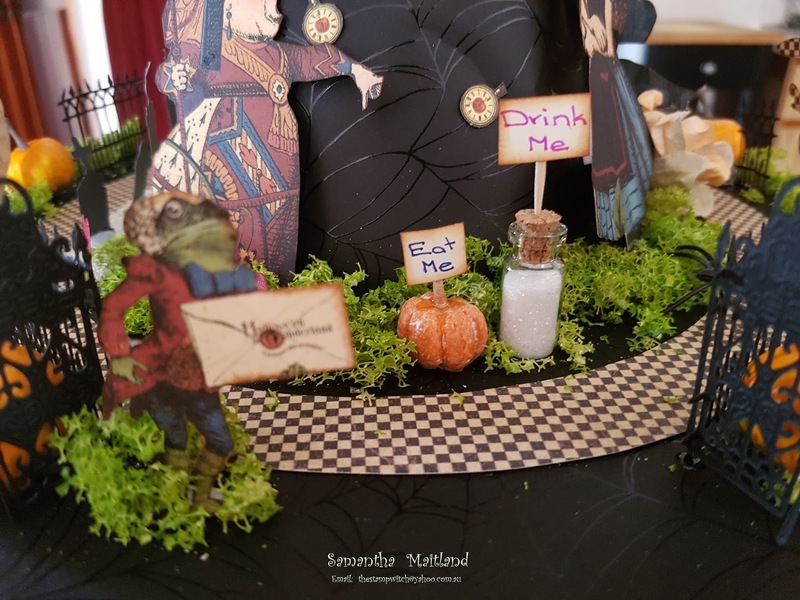 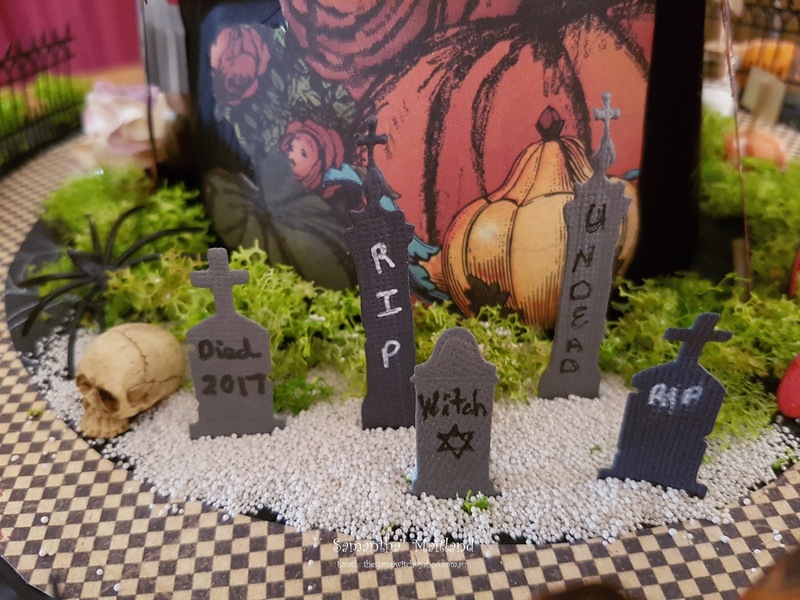 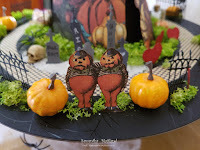 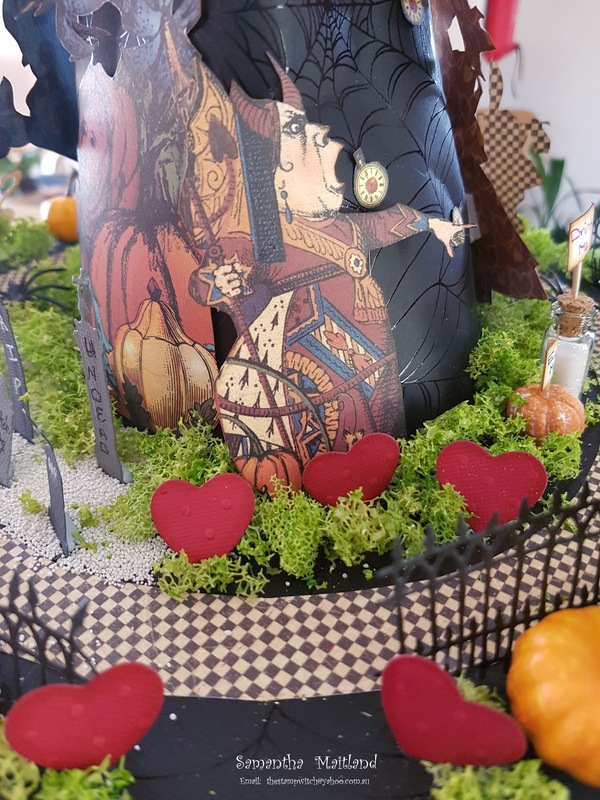 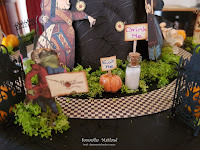 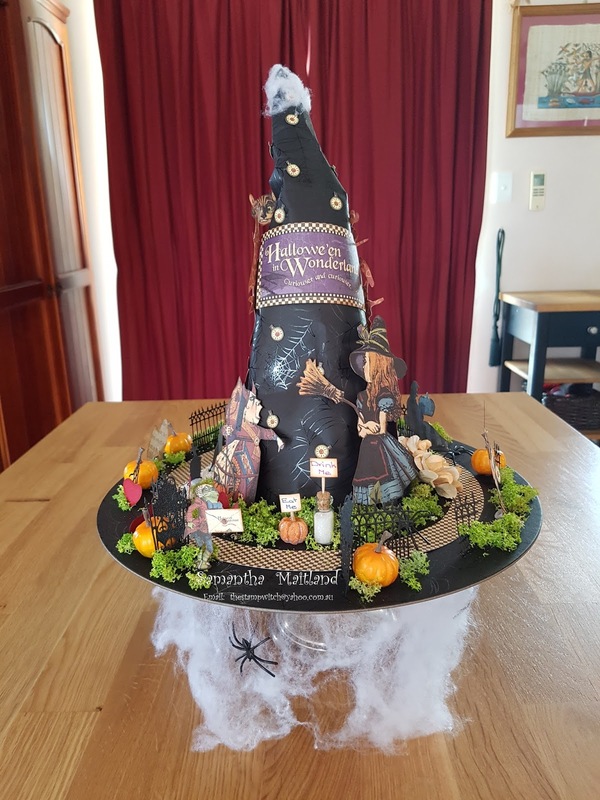 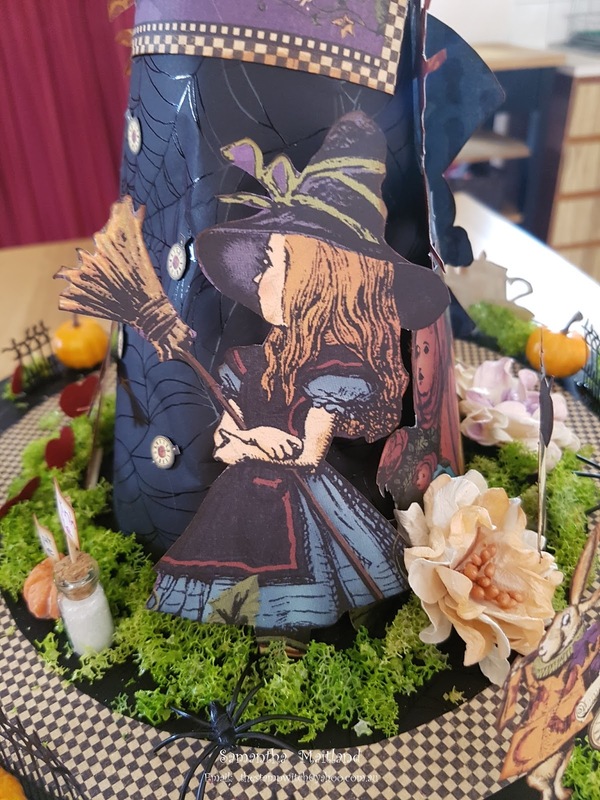 Here it is: Graphic 45 Halloween in Wonderland Witches Hat table centrepiece. 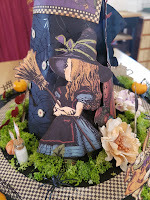 I have always wanted to decorate a Witches Hat and love Graphic 45 papers. 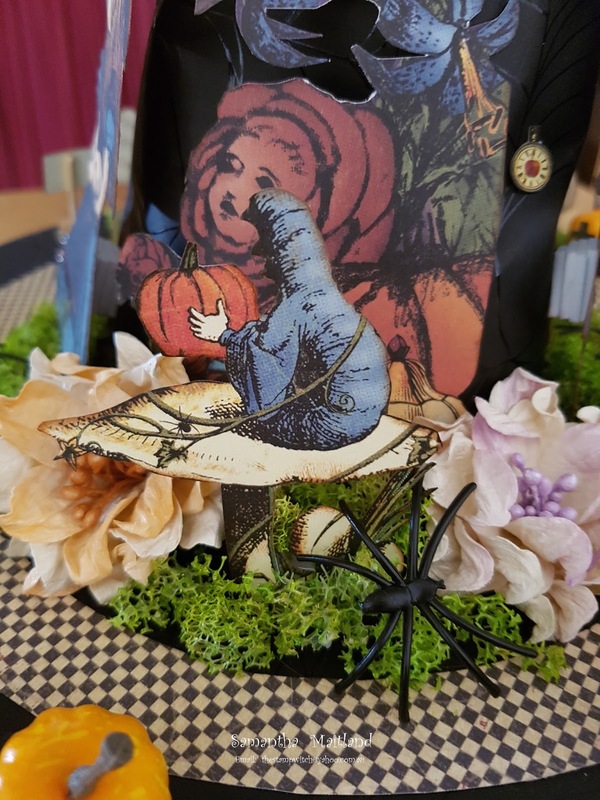 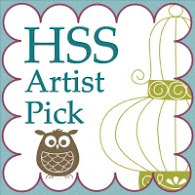 Tim Holtz pumpkins, skull and dies are also used plus plastic spiders, webs and moss. 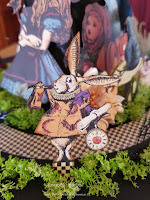 #Graphic45 #TimHoltz.